What is the Junior Division? The Junior Division is a division for players age 13 and 14. Players are introduced to a variety of new rules and skill requirements. Bases are lengthened to 80 feet, and the pitching mound is at 54 feet. Players are allowed to adjust at their own pace and in a protected environment but managers and coaches should set high standards of achievement. It is here that some very successful Little League players may have difficulties with the positions that they previously believed that they had mastered. The coaching objective is to help with this transition while insuring that the confidence that the player possessed in Little League is preserved. Player abilities are now easier to analyze, and those players that previously were thought to be among the best, may now be replaced by other players whose development was slower than the others. Each player must play a minimum of four innings in a seven-inning game, based on the OLL Fair-Play Model. All players on the team bat in a continuous batting order. All games are played at fields in Oakville with some games being played under the lights. Game scores and standings are recorded. The First place team receives medals. Upon completion of the regular season, a post-season playoff tournament is held. The top 4 teams from this tournament play games on Championship Day and receive trophies. For the more talented player, additional opportunities to participate in a competitive environment will be provided via an organized All-star/Select program. To be eligible for the All-star/Select program players must also play in the house league program. 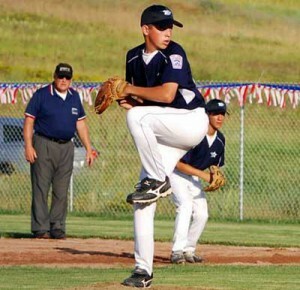 The Junior All-stars compete in play downs for the right to represent Canada at the Junior League World Series.